Phoenix Casting & Machining is proud to provide a complete line of add-on components for the Deere Diesel Engines, including the Power Tech series engines. All of our auxiliary power components are covered by our Phoenix Casting & Machining Limited Warranty. Since Phoenix Casting & Machining has manufactured Deere engine pulleys for more than 25 years, we can manufacture pulleys for engines no longer listed below. 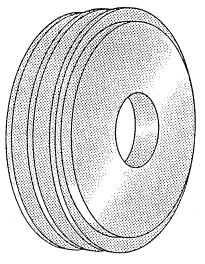 Pulleys for the obsolete engines are available on a non-stock basis.